Cody is known for museums, nightlife, sightseeing, nature, and historic sites. 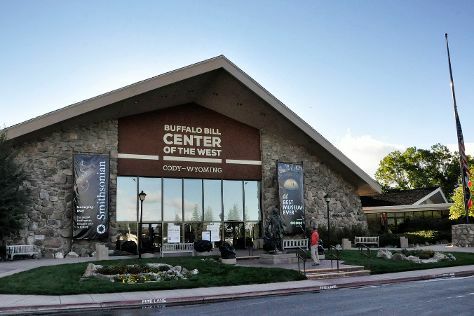 Your plan includes some of its best attractions: take an in-depth tour of Buffalo Bill Center of the West, take a peaceful walk through Shoshone National Forest, steep yourself in history at Old Trail Town, and browse the exhibits of Heart Mountain Interpretive Center. To see ratings, other places to visit, traveler tips, and other tourist information, read Cody online itinerary creator. In August, daily temperatures in Cody can reach 32°C, while at night they dip to 15°C. Cap off your sightseeing on the 18th (Fri) early enough to travel back home.